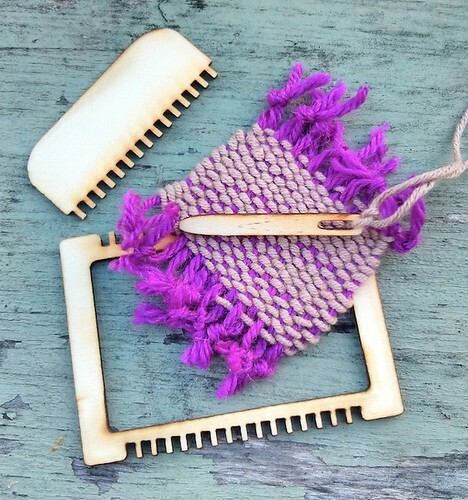 MicroLoom is a tiny loom I designed for weaving a patch of fabric.It would make a nice gift for a crafter. My kids enjoyed playing with it. 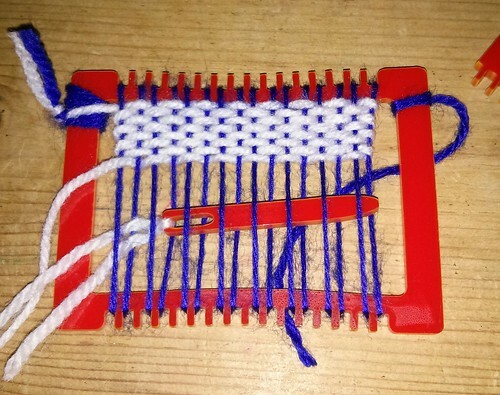 There’s the frame, a needle and a comb to help compact the threads after each line of weaving. 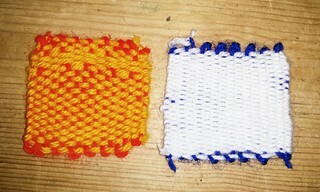 MicroLoom can be cut from wood or acrylic (I used 3mm). I found that acrylic is much stronger, letting me put the frame under more tension.